The Old Clubhouse Pub - where they serve the best (maybe only) haggis nachos in the world. You haven’t lived until you tasted the haggis nachos they serve at The Old Clubhouse Pub at Machrihanish Dunes. Whether you think you like haggis or not, you WILL like these. Tonight, on my first night in Scotland as I await the arrival of the other Golf Road Warriors, I had more than my share – and I may do so again tomorrow night. Nothing says ‘Welcome to Scotland’ like haute cuisine featuring haggis. I’ve been coming to Machrihanish for more than 15 years – every chance I get. My friend Douglas McLeod and I first made the trek in 1994 after reading about celebrated Machrihanish Golf Club in a book called Blasted Heaths and Blessed Greens by links golf aficionado Jim Finegan. Everything Finegan said about the course was true. We loved it, and I’ve come back as often as possible ever since. 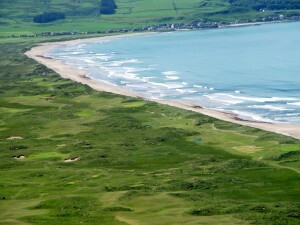 In 2009, Machrihanish Dunes Golf Club debuted on land adjacent to the old course, giving me double the reason to want to return to this delightful corner of Scotland. This “new” course, which was designed by native son David McLay Kidd, is a throwback to the earliest days of golf course design, when courses were made with mules and shovels not bulldozers. If anything, Mach Dunes looks and plays like the older of the two adjoining courses. Both are exhilarating, full of surprises, and each has a character all its own. Since that time, the rest of the Village at Machrihanish Dunes resort has piece by piece been added to the picture by owners Southworth Development. First, they completely gutted and renovated the building that had formerly served as the Machrihanish Golf Club’s clubhouse. Rumor has it that Old Tom Morris himself quaffed a few bevvies in the building. When it reopened, The Old Clubhouse Pub instantly became a favorite spot of visitors and locals alike, serving fresh local fare (including those delicious haggis nachos), along with a fine selection of single-malt whiskies. Then The Ugadale Cottages appeared. These luxurious, two-bedroom cottages quickly earned Small Hotel of the Year honors from Golf Tourism Scotland. 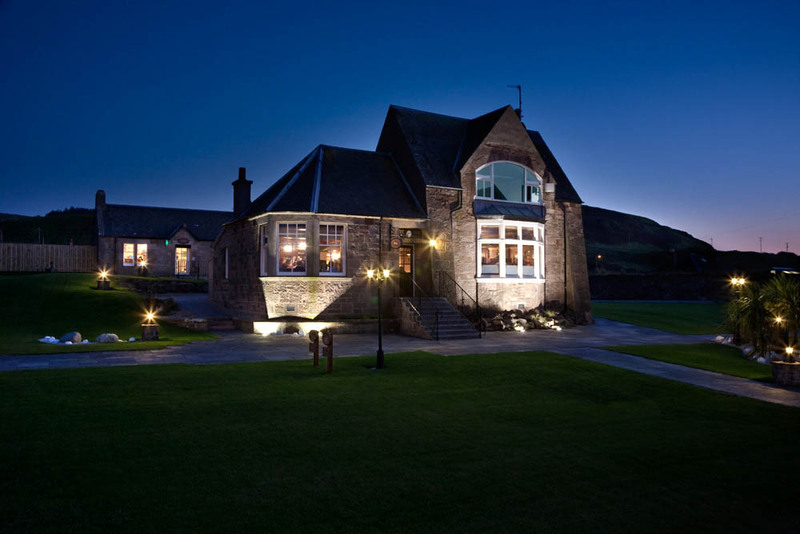 For visiting golfers whose local accommodation choices had previously been confined to dingy B&Bs or threadbare Campbeltown hotels, the Ugadale Cottages have been a huge hit. All by themselves, they put Machrihanish back on the map for well-heeled travelers who wouldn’t have dreamed of overnighting in the area before. In February 2012, Southworth reopened the lovingly restored Ugadale Hotel – a 19th century beachfront icon that had lain fallow for far too long. Now open with 22 beautiful guest rooms and suites, a spa, restaurant and bar, and fitness center, The Ugadale is a fully modern hotel housed within the beautiful bones of a grand old hotel. On May 12 2012, Machrihanish Dunes will add a second historic hotel to its lineup of local accommodation offerings: The Royal Hotel in nearby Campbeltown. Dating back to 1907, The Royal overlooks bustling Campbeltown Harbour and provides an-in-town option for Village guests. Each of the 22 guest rooms at The Royal affords dramatic views of the harbour. There’s a restaurant, The Harbourview Grille, and a drinking hole, The Black Sheep Pub, that I’m sure will become hugely popular once they open. 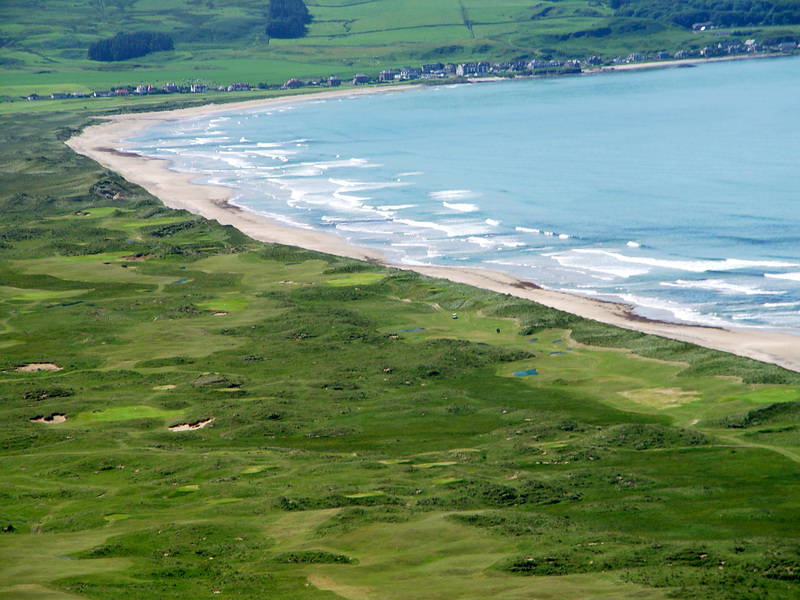 Machrihanish has always been an appealing place. It’s a destination that’s had special meaning for me ever since my first visit. Now, with the Village at Machrihanish Dunes adding its outstanding amenities to the area, it’s an even more attractive choice. I’m really looking forward to my visit this week with the Golf Road Warriors from The A Position. Something tells me they’re going to love it just as much as I do.